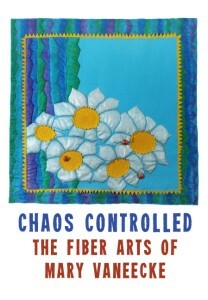 Chaos Controlled: The Fiber Arts of Mary Vaneecke features many new and small works as well as my shibori chic scarves and clothing. 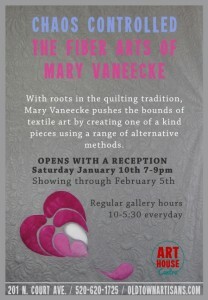 Please come to the opening reception Saturday, January 10 from 7-9 pm. I will give an artist talk on Saturday, January 31st at 2 pm. Art House Centro Gallery is in Old Town Artisans, 201 N. Court Ave. (next to the Tucson Museum of Art). Hope to see you there. 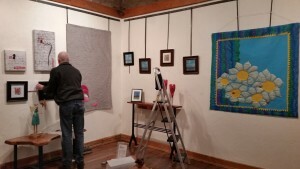 Here is a sneak peek of the hanging yesterday. I love the small shibori ‘monoprint landscapes’ I just completed for the show (center).